Rate this Article Star Stable Online is one of the topmost favorite MMO horse games worldwide, but not many of its fans know how the game came about. Here, we provide you with a bite-sized look into the incredible history of Star Stable Online! If you are a huge fan of horse-themed MMORPGs, then Star Stable Online, or “SSO” for short, is definitely a game you should be very familiar with. After all, there aren’t many of these games currently on the internet and SSO is possibly the longest running horse-themed MMO game thus far. In fact, the game is the first of its kind to grace the internet, igniting the imagination of so many of its players and fans while letting them enjoy their most favorite thing in the world – to have an exciting fantasy-based adventure with their trusty horses! However, not many fans could tell you how Star Stable Online came about, as opposed to how many different colors the Jorvik Wild Horses are available in or the best place to dance the night away with friends. Understandably, history can be quite dull a topic, and hence, we’re here to help with our bite-sized look into the incredible history of Star Stable Online! Most players didn’t know that Star Stable Online wasn’t the first game within the Jorvikian universe that was developed. Star Academy was actually the first SSO-related game series that was released by Hidden Entertainment and Pixel Tales. The game was released in 2003. As opposed to riding horses, you get to play as a member of an aspiring band that is singing, dancing and performing their way to hopefully a spot in the prestigious musical school of Jorvik, Star Academy. Obviously, this game is very different from Star Stable Online but it laid the very foundations that led to the creation of the amazing world of Jorvik. Some characters in this game even appeared in the later games produced by the duo. In 2005, the game series, Starshine Legacy, was released for the Penny Girl book clubs. Developed by Hidden Entertainment AB and Pixel Tales, the series follows the journey of four teenage girls with their horses as they try to protect their home from the nefarious plans of the evil Mr. Sands. This is the first time some parts of the island of Jorvik can be properly “seen” through these girls’ adventures. Several characters from this game also returned as NPCs in SSO. Can you guess who they are? 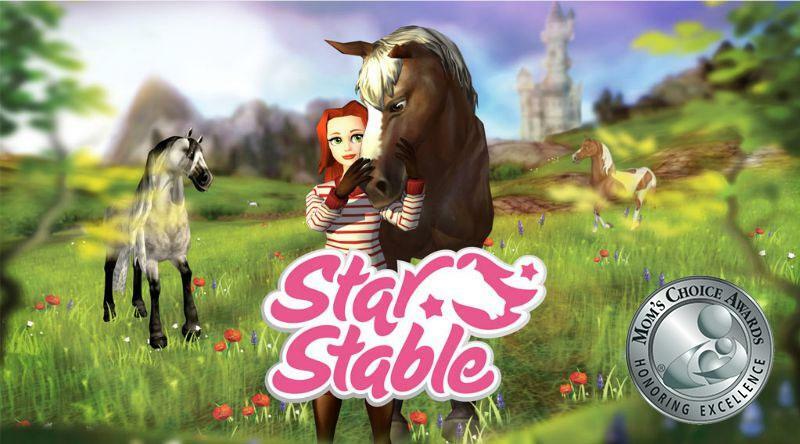 Produced by Stabenfeldt, Hidden Entertainment and Penny Girl, a new game series, Star Stable was born in 2008. This series not only became the base for Star Stable Online (obviously), but it also fleshed out the wonderful world that the game is set in, how the storyline will go, and what SSO is going to be like in terms of gameplay. Even before Star Stable was released, a new project was launched with the goal of creating a horse-themed online role-playing game set in Jorvik in mind. Initially, the game has a distant top-down look, which admittedly wasn’t exactly immersive per se. Thankfully, after being acquired by Star Stable Entertainment (SSE), the development of the game changed drastically. As a result, the familiar third-person perspective replaced the top-down look, giving the game the immersion that many players have enjoyed until today. After years of development, Star Stable Online was officially launched in Sweden in October 2011. That being said, the first server, Air Star, was made available to Swedish players (beta testers) on September 26. SSO truly picked up the pace when it went global on June 20, 2012. The game is now available to players from over 180 countries. Starting with the English version, the game was eventually translated into other languages. It is currently available in 14 different languages. In addition to the introduction of Western Riding and pets, SSO also celebrated its first birthday this year. As a gift, players are able to grab an exclusive Star Stable sweater for 1 Jorvik shilling and special birthday-themed set gear for their horses. The year 2013 brings a wave of change to Star Stable – the most crucial being the ability to own more than one horse. The game also introduced two new features – the first being the new Stable Care system which allow you to hire a stable girl to take care of your horses while you’re away; and the second being the Horse Trainers who will help train your horses and level them up for you. A new region, the Harvest Counties, was released in October as well. This year is definitely the year with the highest number of new horse breeds released – a whopping 9 different horse breeds. They include the Morgans, English Thoroughbreds, Dutch Warmbloods, Danish Warmbloods, and the Morabs (Apr); Friesians (June); Ponies (Aug); Andalusians (Oct); and Arabians (Dec). In 2014, SSO took everything to the next level with even more features, explorable regions and, of course, horse breeds, namely the Tinker horse (June), North Swedish (Aug), and the Fjords (Dec). Features like the ferries that shortened the travel distance between Fort Pinta, Cape West Fishing Village and Jarlaheim and emotes were introduced in this year. In addition to starting a new storybook series, SSO also launched a new explorable region, the Valley of the Hidden Dinosaur, as well as a new area, Horse Island, where you can send horses that you don’t ride as often for a vacation. The game was also made available on Macs. 2015 is a year that’s particularly memorable year for both the fans of the game and the Star Stable team because on March 19, Star Stable Online won the Silver Award in the Mom’s Choice Award, an award that’s internationally known as a standard of excellence in family-friendly entertainment. With a reported 4 million+ players, the game had definitely come a long way since its release! 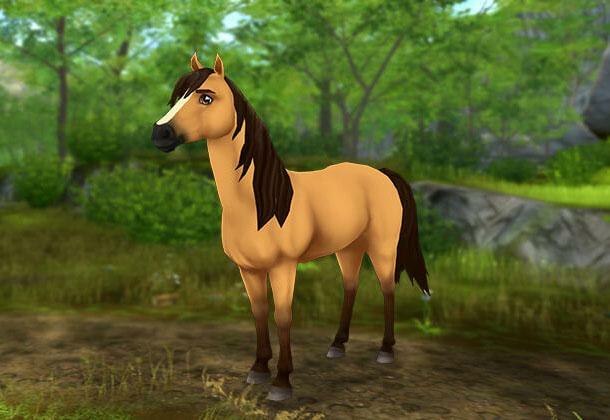 This year, the game was also updated with a brand-new Lead Horse function, 2 new areas (The Jorvik City Plaza in February and Epona in November), a massive graphical revamp for the Morgans, as well as 4 new horse breeds (Chincoteague Pony in March, American Quarter Horse in April, the Shire in October, and the Icelandics in Dec). Star Stable Online dialed it up a notch in 2016 by bringing part of SSO onto the mobile platform via its companion app, Star Stable Friends. Furthermore, the game also added in the "Recruit a Friend" feature, which allows players to bring their friends into the game in exchange for some rewards, and replaced Horse Island with a lush pasture that comes with the new stables, MyStable, that every player will now have. Two new areas were released to the players this year, namely the capital city of Jorvik, aptly named as Jorvik City, and South Hoof. Four new horse breeds, including the Mustangs (Nov), Lipizzans (Sept), the colorful Wild Horses (June), and Welsh Ponies (May), were introduced into SSO as well. 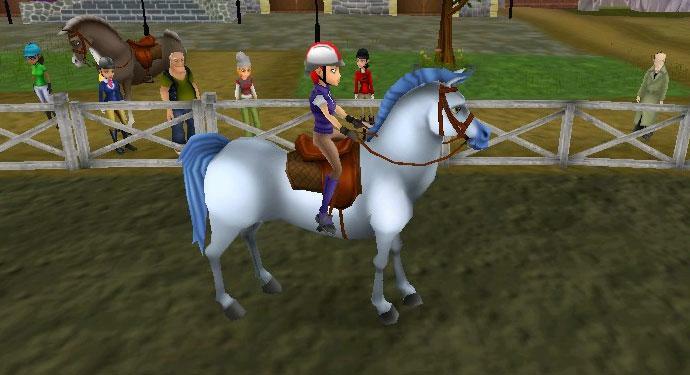 Taking into account the increasing popularity of mobile games, SSE created a spin-off of sorts - a Star Stable mobile game, called Star Stable Horses. In this game, players can raise foals and then transfer their grown horses to their respective Star Stable Online accounts at a price. The game was a hit among fans, especially among subscribers of SSO, mainly because they not only can enjoy raising their own foals but they can also easily get a level 10 horse in SSO at the end of the day. In SSO itself, the game has seen a range of animation-related and graphical upgrades throughout the year. Star Stable has also released two new regions, namely the mystical and otherworldly world of Pandoria, and the brand-new region, Mistfall. Featuring lush forests and diverse wildlife, this region is guaranteed to captivate every player that travels there. There are of course new horse breeds as well. They include the Haflingers which were released in April, the Hanoverians in August, the Pinto Arabians in October, and the Connemaras in December. Moreover, SSE had collaborated with some pretty big names in both the equine (Hööks) as well as the animation industry (DreamWorks). In conjunction to the release of DreamWorks’ latest animated series, Spirit Riding Free, SSO gave its fans the incredible opportunity to invite the most beloved animated horse in animation history, Spirit, the Stallion of Cimarron, to stay at their stable. Not to mention, players were also given the chance to win a one-year sponsorship program that included free horsemanship training and exclusive riding gear by participating in a fun competition. This is the year where the Star Stable Ambassador program was introduced as well. This program will allow selected volunteers/fans of the game to work more closely with the Star Stable team to organize fun events for the other players and to help new players along. So far, Star Stable Online has kickstarted the new year with a huge bang! The game has already rolled out a new wave of horses and adventures for both of the newer regions, Mistfall and Pandoria. We have no idea what the Star Stable team has in store for this new year but we sure are excited to find out!